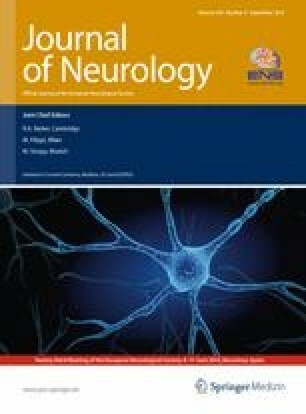 The aim of this work was to determine whether survival changed during 2002–2009 at a French amyotrophic lateral sclerosis (ALS) center. We included all patients with ALS who were seen consecutively at the center from January 2002–May 2009. Participants were followed from date of first visit through death, date of censoring, or December 31, 2009, whichever occurred first. Cox proportional hazard models computed hazard ratios (HR; 95% confidence interval CI) of death, and flexible modeling of continuous predictors (splines) assessed trends in survival. 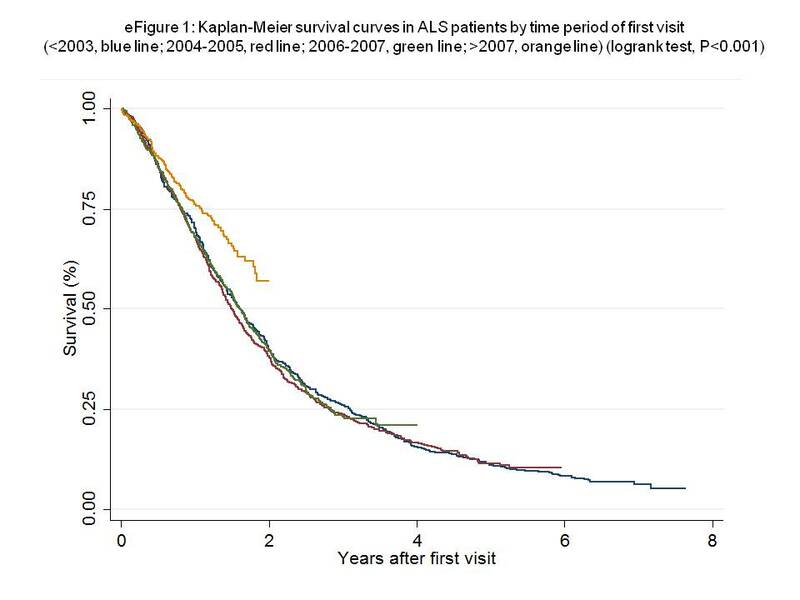 We analyzed a total of 2,037 ALS patients, of whom 1,471 died before the end of follow-up. Median survival was 2.83 years from onset and 1.65 years from first visit. Compared to patients first seen before 2004, the HR of death was 0.97 (95% CI = 0.85–1.11, p = 0.6721) for patients first seen in 2004–2005, 0.96 (95% CI = 0.83–1.10, p = 0.5125) for 2006–2007, and 0.56 (95% CI = 0.46–0.69, p < 0.0001) after 2007, while adjusting for other survival predictors. Spline analysis confirmed that survival remained stable during 2002–2006, then markedly improved. The proportion of patients receiving non-invasive ventilation (NIV) increased from 16 (2004) to 51% (2008). At this large ALS center, survival improved after 2006. Because more aggressive use of NIV was the principal therapeutic adaptation, our data suggest that better survival resulted from improved respiratory care. The online version of this article (doi: 10.1007/s00415-011-6403-4) contains supplementary material, which is available to authorized users.